I've almost forgotten about this conference till Holman's of Nevada emailed me a reminder three weeks before the conference. 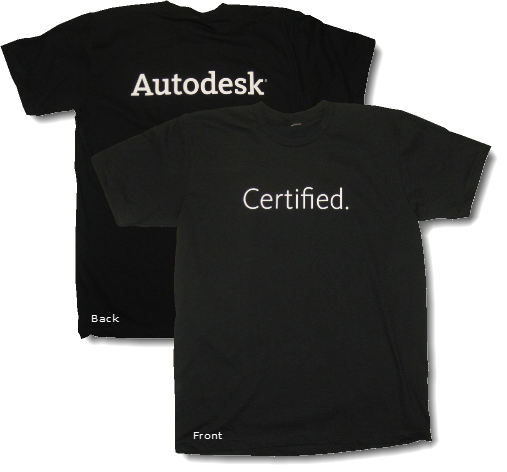 Holman's is the premier Autodesk reseller in Las Vegas, Nevada, where I live. Having purchased my Revit license and subscription from them, I was provided me with a free one day all-inclusive pass for Tuesday's events (Nov. 30, 2010). It was almost 11:00 am when I got out of the testing room. I had enough time to make it to my 11:30 class. This is when I deviated from my plan and decided to just go home instead. On my way home, I bought a 6-pack of beer and celebrated the rest of the day! 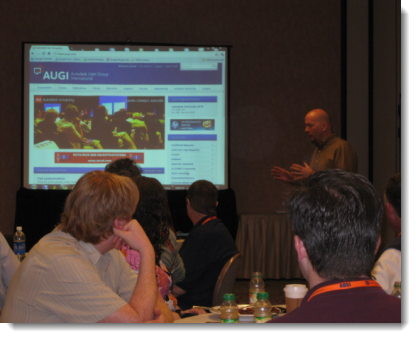 As a member of AUGI Volunteer group, I got invited to the 2010 AUGI Volunteer Breakfast held at the Tradewinds room at Mandalay Bay Hotel. This is the another AU event that I was looking forward to. 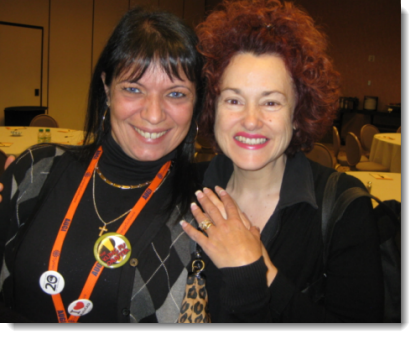 It was my chance to meet the people behind AUGI organization and AUGI website. In this event, I got to meet the Revit experts I look up to. The highlight for me was meeting Steve Stafford, a well known Revit guru who runs Revitoped.com. 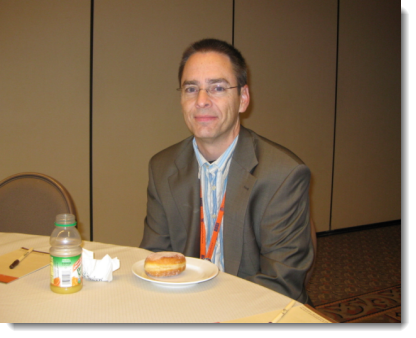 He is also the current editor of AUGI AEC Edge. For years, I've always read and learned from his great blogs and articles. 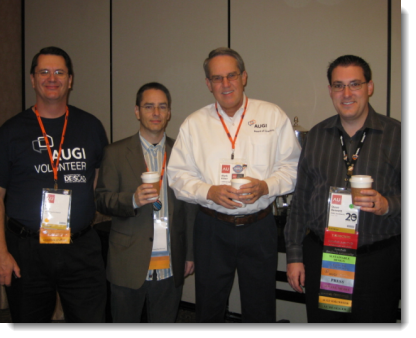 I also got to meet Mark Kiker, editor of BLAUGI; and David Harrington, technical director of AUGI World. 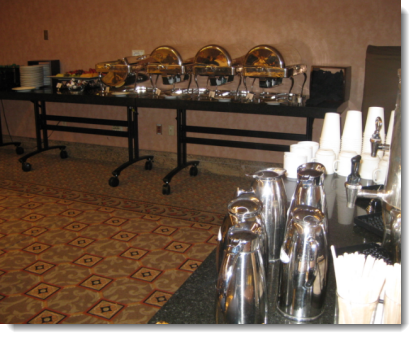 In this breakfast event, David Harrington presented and explained the features of the newly redesigned AUGI.com website. Here are a few photos from the event. Here are the goodies you get when you register! 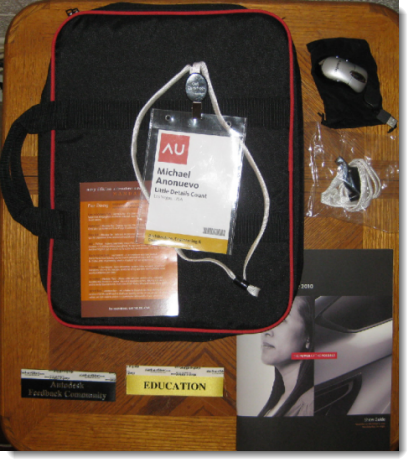 See you at AU 2011!